It is replaced by the Elo 5500L. The ELO 4600L 46 inch Interactive Digital Signage (IDS) touch display is more than a television and more than a consumer display. IDS touch displays enable increased customer engagement and metrics for out-of-home environments by adding an exciting new dimension to traditional broadcast digital signage - the power of touch. The 4600L's large-format, professional display is not only attractive, but rugged enough to withstand the constant use inherent in public access venues, such as retail, self-service, hospitality, transportation, education, and health care. 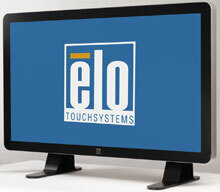 Built to last in public access environments, unlike typical consumer televisions or displays, the ELO 4600L offers a long life and a rich digital signage experience. Large Format Monitor, 4600L, 46-Inch Wide LCD, Optical Multi-Touch, USB Controller, Interactive Digital Signage.